Implant dentures for reliable stability. Implant dentures are dentures that are supported or stabilised by implants, as opposed to traditional dentures which sit on the gum, relying on gravity (lower dentures) or suction (upper dentures), or denture adhesives, to stay in place. Conventional dentures rest on your gums without any strong points of retention, and you can experience problems with loose dentures as your gums change after long-term use of those dentures. If you want to stop having trouble with your dentures, implant dentures can be a better solution, giving you confidence and stability as you speak, chew, eat, or smile. Implant stabilised dentures don’t rely on your gums (which were designed for teeth, not dentures). Implant-stabilised dentures rest on your gums but are kept in place by implants that are integrated in the jaw bone. They can still be removed for ease of cleaning, but are strong and secure for chewing, talking and socialising without fear of moving or falling dentures. For implant dentures, there are different treatments, and both the timeframes and the procedures may vary – these include the Locator method of denture stabilisation which is compatible with almost all implant types (our most common method), and Syncone by Ankylos implants which do not need to rest on the gums at all, only the implants, but are still removable. Our dentists at All on 4 Clinic Perth never use mini-implants to stabilise dentures, as we believe they are an inferior solution with a lesser prognosis, and without the capacity for upgrade. 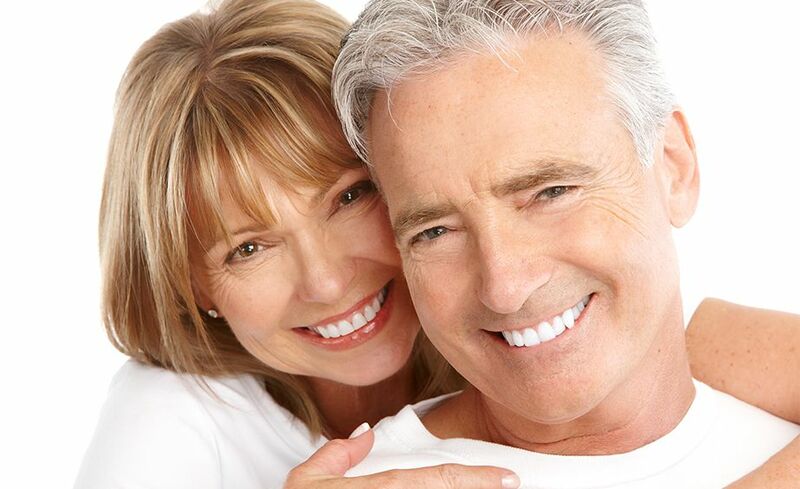 The implants that we use to stabilise dentures are only reputable implant brands such as BioHorizons, Nobel Biocare, Astra and Ankylos – and this means that should you decide to upgrade your implant stabilised dentures to non-removable fixed implant teeth in the future, you can use the same implants to do this. We will discuss your personal situation and requirements, as well as a recommended treatment plan, before you start your journey to stable, secure, confident and attractive smile. Implant stabilised dentures are removable. In this case the dentures clip on the implants, and you can still take it out at night, and for cleaning. There have been many studies that have shown patients with this type of implant solution are satisfied with their outcomes, and are often the lowest cost implant solution that still give reliable results. Permanent (fixed) solutions, however, are preferred by others when deciding what type of implants to have. These do not involve dentures or plates at all, but implant teeth fixed permanently and directly to the implants without any coverage of the gums. These methods include the use of dental implants in an All On 4 treatment: a full teeth replacement using four implants. At All On 4 Clinic Perth we can advise you on the most suitable treatment for you, depending on your requirements and on the costs of various treatments. What’s more, we perform all of these treatments in a streamlined workflow based on the extensive experience of thousands of implant placements, in the comfort of IV sedation at our every-day, in-house fully equipped sedation clinic. Dr Misagh Habibi and his team offer premium quality dental reconstruction services based on extensive experience with complex implant dental work. Dr Habibi performs all his dental implant procedures at our state-of-the-art clinic in Subiaco. If you feel you want to get rid of conventional dentures, or want to avoid them altogether, please call our friendly reception team and book your consultation.